New seasons always make me ready for a fresh start; out with the old and in with the new! And the same goes for beauty products. I love finding new beauty products, especially when they work!!! So today, I'm telling you about two of my new favorite products that have changed the way I feel about my skin care routine. I must tell you, that even if I didn't sell Rodan + Fields and was only a customer, I would feel the exact same way about this product and would still inform you of it. It is incredible the way it controls my shine!!! I have never used anything like this. I can actually see the mattifying power of the lotion as I rub it on my face. Amazing! If you have been a lifetime sufferer of oily skin, this product is for you! I'm being completely honest when I say that this lotion has changed my life. I know that's a pretty bold statement, but it has. I don't have to worry if my forehead looks like an oil slick anymore. I know my oil is under control. Since I do wear makeup, it was important for me to find something that will take the makeup off before I cleanse my face, without being too harsh. And hey, if it has some anti-aging properties in it, that's even better! My eye makeup is what I am most concerned about taking off as mascara seems to be the hardest thing to get off. 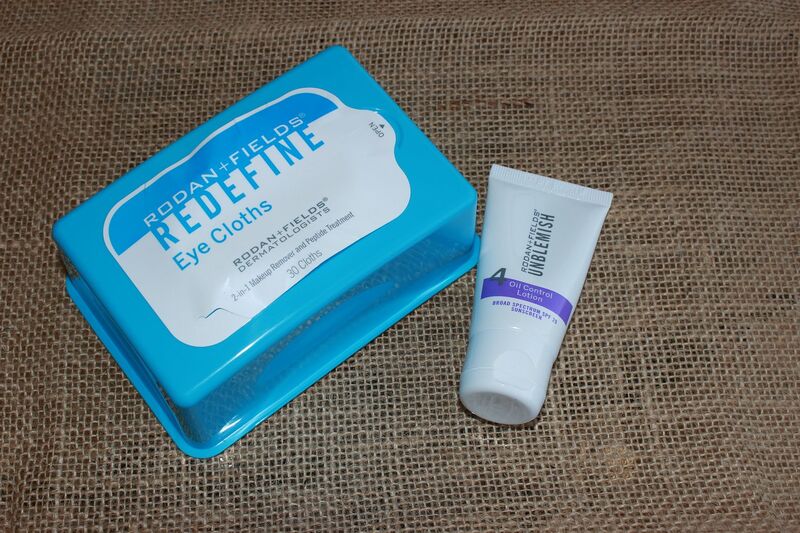 Well the Redefine Eye Cloths from Rodan + Fields are pretty incredible. I can use one cloth to clean my entire face, even my waterproof mascara. And it gets everything! And while my makeup is removed, the cloth deposits peptides in my skin to reduce the appearance of fine lines and wrinkles and even under eye puffiness! Pretty incredible if you ask me. And today I have a treat for you! Due to the OVERWHELMING response I have received from people who want to try Rodan + Fields products, I decided to offer a deal to all of you! If you have been curious about these skin care products that I've been raving about and haven't wanted to commit to a full regimen, well here is your chance. 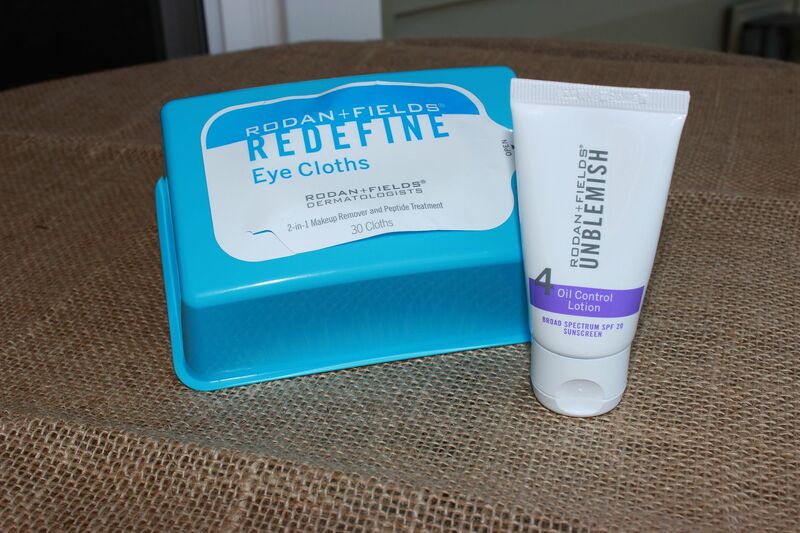 Between now and September 27 I am offering both of these above products to you for just the retail cost! I am going to pick up the tax and the shipping!!! And you will also get a little surprise from me with your order. -The Oil Control Lotion is only $28 for a more than 2 month supply - the bottle I have has lasted me almost 3 months and I still have plenty left!. -The Eye Cloths are only $30 for a really big box! Like I said, one cloth takes off my entire face of makeup. If you don't wear a lot of makeup you could probably cut the cloth in half. So awesome. All you have to do is leave a comment below telling me which product (or both!!!) you want and leave your paypal e-mail address. Or if you don't want to leave your e-mail address below, then just e-mail me (lindsay@pursuitofpink.com). Just make sure you leave a way for me to contact you! I can't wait to help you get amazing skin! such a great deal your are offering.